I’ve long been a fan of train travel. Partly because I’m quite scared of flying and partly because I’m drawn to the history and romance of rail (even though the commuting reality can be somewhat different!) it’s been my favourite way to get about for a long time, bikes and horses notwithstanding. 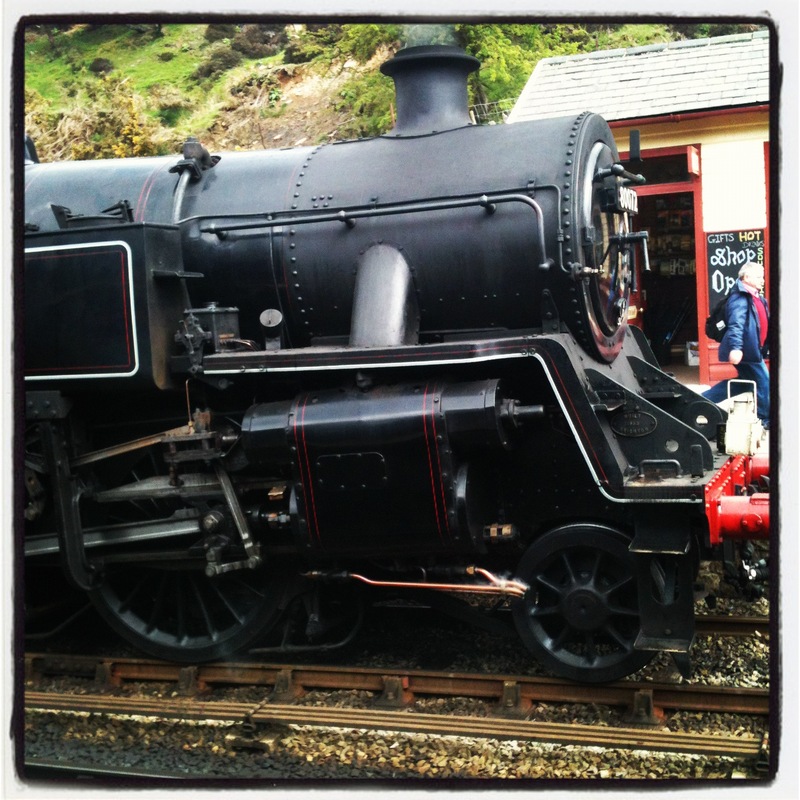 Whenever we go on holiday in the UK, I always hunt down the local steam railway too. It’s an unashamedly rose-tinted view of history, I know, but I adore steam engines and have a lot of admiration for the people who volunteer to keep them going. Ooh, drifted off for a moment there. Where was I? Oh, yes. I think that I’ve always been put off longer distance rail travel with the kids because I’ve been worried that they will get bored and that it will be really stressful. But, what if I re-think this? What if the journey itself is the point, rather than something to be borne with gritted teeth until we get to the destination? Keiran makes the point that during his rail journeys he has met many interesting people and seen things that would have been completely missed by anyone flying from A to B, which makes me think back to my own rose-tinted view of rail travel. Besides, I’m about to read a chapter called ‘Embrace Disaster’ which I’m sure will cover my fears of the kids getting bored! Mark Smith, the wonderful Man in Seat 61 also invokes that feeling in me that long-distance rail travel with kids is entirely possible, because of the way he recounts his own journeys on his brilliant and massively inspiring site. I’m also in love with the idea of sleeper trains, they feel terribly romantic, as though you might be a character in an Agatha Christie novel, but without the murderous intent. The train is perhaps more expensive than flying but there are a few things to think about. On many train lines, children have a reduced or free seat price for longer than on a plane. There are fewer, if any, surcharges for baggage, priority boarding, calling the customer service line or using your card to pay for things, like there are if you travel with some budget airlines. And if the sleeper train provides a decent night of sleep, perhaps it reduces the amount of nights you might need in a hotel. Also, the idea of train travel is filling me with glee, unlike the plane which fills me with dread. 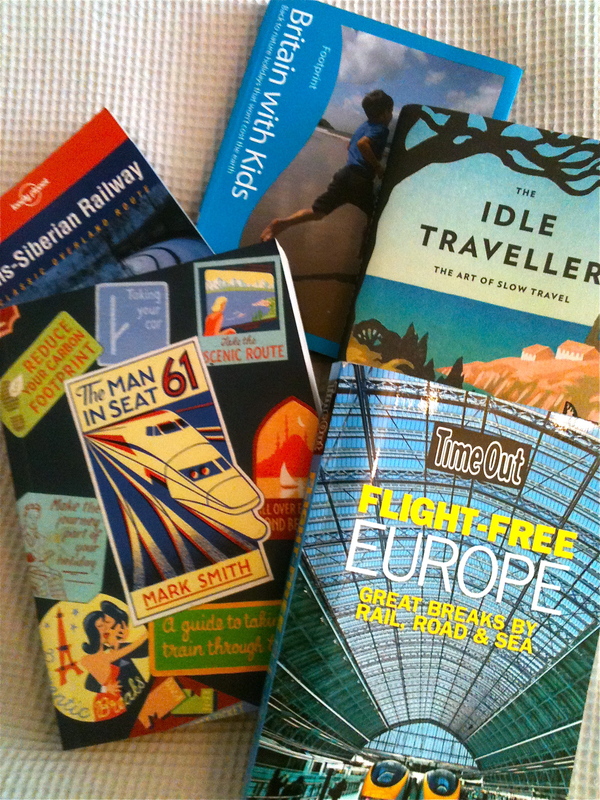 Have you done any long distance rail travel, alone or with your kids? I’d love to hear about your experiences! I traveled by train in the UK when I was there for 2 weeks and LOVED it. We went from London to Portmeirion – then from Portmeirion to Aberdeen. I absolutely loved it. I enjoyed seeing the landscape while being able to relax and read my magazines, or poke around on my laptop. I became a fan of train travel during that trip and look forward to trying it again. Train travel in the US is not as easy – there are not as many stops, and if you’re not on the east coast or west coast, you’ll be lucky to have a train roll through once a week or so.